Life cycles through different stages, times, seasons and periods. There is a time to be born and a time to pass on, says King Solomon, the writer of Ecclesiastes. Just as conditions vary with time I believe there is a time to hide in preparation and a time to be shown to the world. 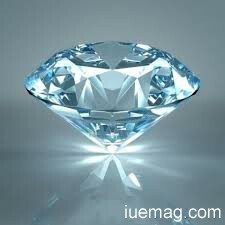 Diamonds are very beautiful, coveted and infrequent minerals. They are almost priceless, flaunted often by celebrities and other rich people in society, and displayed in classic jewelry shops. According to science, there exists no stone on earth harder than the diamond. No rational individual would refuse to accept diamonds as a gift. They are very beautiful, sparkling, valuable and unique. Often diamonds are displayed in safe glass cases and exhibited for sale in big shops. Diamonds are usually unseen by the world until displayed. A diamond beyond all the above mentioned good attributes is a good teacher. It teaches valuable lessons about life. In his post on Top 10 Countries with the Most Diamonds Found, Sammy Said wrote on his passion project, The Richest; "Each piece of diamond has a compelling story behind it. Diamonds are the hardest of all the precious stones unearthed. A diamond becomes highly expensive after undergoing polishing and design." In life, there would always be the period in one's lifetime where he or she has to hide in preparation. Diamonds are "made" in secret but displayed publicly after polishing. After going through a tough refining process, they are beautifully displayed, and onlookers admire their beauty until they wish they owed them. This principle applies to humans in general. The world will never appreciate you when you have just a raw talent. You need to polish it. You need to beat your craft, and keep at it until you turn out into a fine talented and skilled individual. Diamonds are not made in public, so don't rush into premature exposure until you are refined. Correct timing is an important key to consider if one wants go very far in life. Once you discover your gift and talent begin to train yourself. In most cases, you need to practise your gift freely, through VOLUNTEERISM, and other opportunities alike. Keep practising and in the process you would gain much confidence to serve your gift to a larger crowd. The world can be your stage and you can then give that mastered talent a commercial value of world standard. Let us learn to respect nature's cycle, times and seasons. Just as the moon is totally hidden sometimes, quarter shaped at other times, half shaped and fully shaped during some other times, so do human beings mature and progress in life. We develop with time until we fully fulfill our purposes here on earth. Always remember that the diamond mines in South Africa, Brazil, Canada, Russia and all other places in the world are not located in big flashy cities. Your gift will take you to great places, but first, spend time to polish yourself. Don't rush to expose yourself to the world. It may be a premature exposure. Keep preparing and developing the talents in you. Practise more behind the scenes. It is said that success happens when preparation meets opportunity. That hour shall come when your light will shine, nature's whistle will blow for you to be shown and as you walk majestically onto the platforms of great world services, you will make HISTORY, and all shall say IT IS YOUR TIME! Any facts, figures or references stated here are made by the author & don't reflect the endorsement of iU at all times unless otherwise drafted by official staff at iU. This article was first published here on 22nd December 2013.